TRUE PERFORMANCE & LUXURY!! MSRP OF $100,860!! 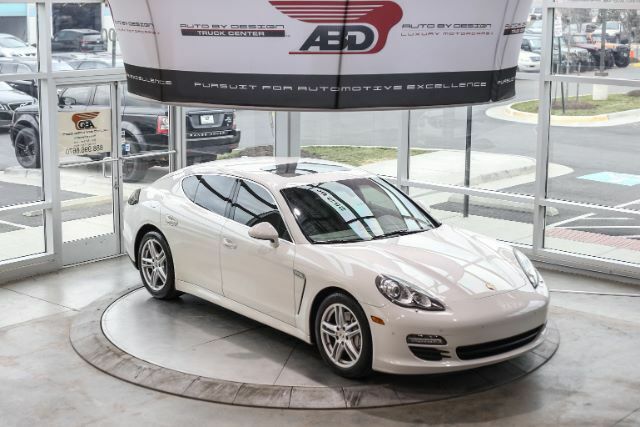 This 2010 Porsche Panamera S is finished in Beautiful Carrara White and Platinum Gray Leather! This Panamera has a 4.8L V8 engine mated to a 7-speed Automatic combining to give you over 400hp & 384ft Torque! The Panamera has impressive & agile handling, communicative steering and strong brakes, adding that its ride quality is firm, but still comfortable. Comes fully optioned with Sport Chrono Package Plus, Birch Anthracite Interior Package, Premium Leather, Porsche Crest Front Headrests, Porsche Communication Management system with 7-inch Color Touch Screen, Factory Navigation, BOSE Premium Audio System with Bluetooth & CD, Front & Rear Park Assist System with Back up Camera, Front Heated/Ventilated Seats, Heated Steering Wheel, Dual Climate Control, Power Sunroof, Powerlift Tailgate, Adaptive Rear Spoiler, Dual Twin-Tube Tailpipes, 19 inch Factory Turbo Wheels wrapped in Michelin Pilot Sport Performance Tires! This Panamera S is spectacle of engineering and luxury craftsmanship! Factory Books and 2 Key FOBs are included. ****** All of our high-end vehicles are processed through a Multi-Point Inspection to ensure that the vehicle is of the Highest Quality & Drivability, please inquire about our vehicles and ask a representative for more information. ****** This 2010 Porsche Panamera S comes with a Clean Carfax Report. We offer Nationwide Shipping right to our door step and we offer Worldwide Shipping logistics as well as Financing is also available for our vehicles with rates as low as 3.79%** for well qualified buyers**. Auto loans are our specialty. We are experts in helping individuals with good and bad credit obtain a car loan for the purchase of a new or used vehicle. All of our new and used car loan services are hassle-free and there is no obligation for you to apply for a car loan today. We can help you finance your next car, truck, van, or sport utility today with our easy auto loan application.